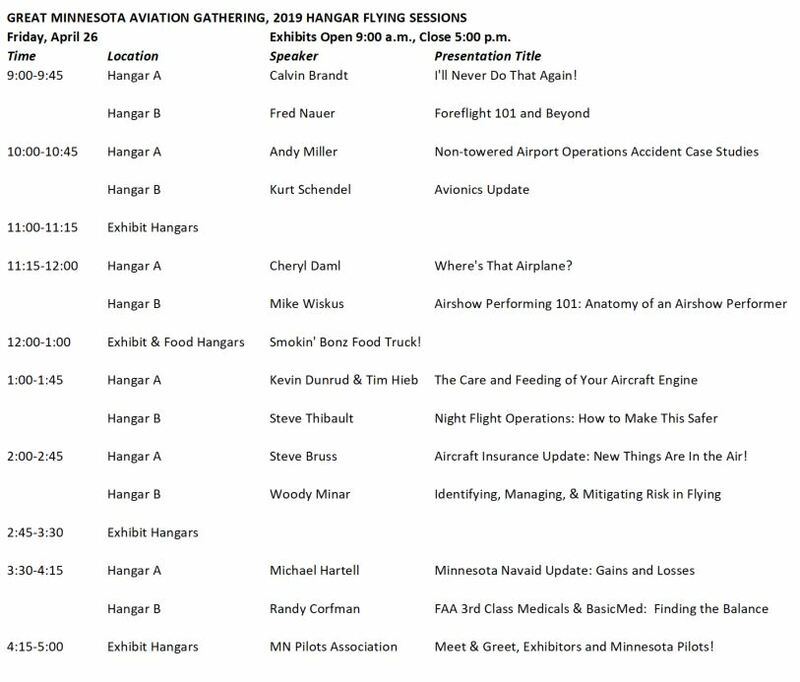 We are pleased to roll out what we think is another outstanding group of speakers and presentations for the 2019 Great MN Aviation Gathering! 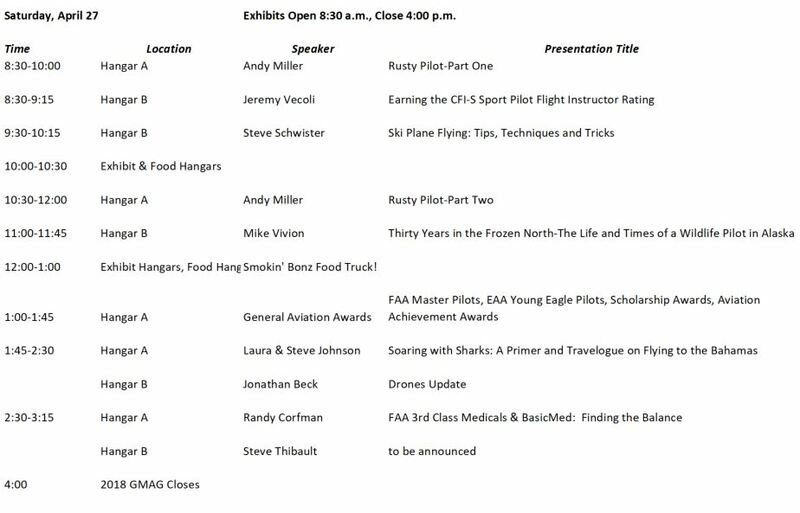 Many thanks to the speakers who are donating their time to provide you, our members, with presentations which we feel will add to the excitement that we all feel as pilots. Please visit the GMAG section of our website to learn more details. This entry was posted in News on 04/07/2019 by Randy Corfman. Breakfast served 8am-1pm, free breakfast for PICs. Free Young Eagle rides for ages 8-17. Ping pong ball drop for ages 0-10. RSS Error: A feed could not be found at http://www.avweb.com/avwebflash/?zkDo=showRSS. A feed with an invalid mime type may fall victim to this error, or SimplePie was unable to auto-discover it.. Use force_feed() if you are certain this URL is a real feed. Meet and Greet Added to 2019 GMAG! Download, Print and Post 2019 GMAG Flyer!